A man shouts during an anti-China rally in Tokyo, Japan, on September 22, 2012 (Toru Hanai/Courtesy Reuters). This post originally appeared on the Atlantic online. President Obama has repeatedly pledge to do “nation-building at home” during his second-term. However, it is likely that unanticipated world events will prevent this single-minded focus—as they do for most presidents. President Obama and his new foreign policy team cannot plan for, prevent, or mitigate all the crises that the United States could potentially face in 2013. They must prioritize the contingencies that warrant the attention of senior policymakers. The Center for Preventive Action’s Preventive Priorities Survey (PPS) seeks to help in that process by identifying plausible contingencies and ranking them based on their potential impact to U.S. interests and likelihood of occurring in 2013. Perennial PPS consumers will notice changes to our methodology. For the first time, we used crowdsourcing to help identify the thirty contingencies appearing on this year’s survey. Harnessing social media (Facebook, Twitter, Quora, etc. ), we solicited hundreds of suggestions from anyone with Internet access (thanks!) that helped bypass the media filter, which focus on only that day’s headlines. Compared to the PPS 2012, the most notable change this year is the addition of the likelihood ranking. Previously, we asked survey respondents to rank the thirty contingencies based solely on their potential impact; however, by integrating likelihood, policymakers now have the full breadth of the most pressing strategic priorities. We captured expert knowledge by asking over 1,500 U.S. government officials, academics, and forecasting experts to rank the likelihood and potential impact of the thirty contingencies that emerged from the initial crowdsourcing. Many “Tier I” contingencies (i.e., high preventive priorities) appearing in last year’s PPS remained, suggesting a degree of intractability. The prospect, for instance, of a major military incident with China involving U.S. or allied forces has not dissipated in the last twelve months. 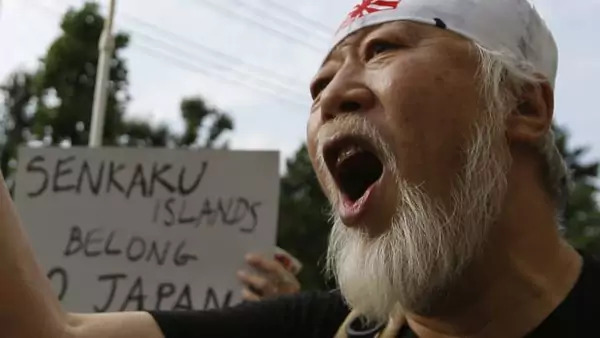 Rather, as Sino-Japanese tensions heighten over the Senkaku/Diaoyu Islands, the threat has only worsened with little signs of a resolution on the horizon. At the same time, other Tier I contingencies are likely to come to a head in 2013. For instance, indicators point to Iranian nuclear crisis being addressed either through military or diplomatic means. The 2012 PPS also highlighted the potential for “an outbreak of widespread civil violence in Syria.” This scenario has unfortunately become a reality today, and Syria’s instability appears far from over. To this end, the intensification of the Syrian civil war is the only contingency on this year’s survey to be rated as both having a high potential impact on U.S. interests and likely to occur. Another troubling aspect of the Syrian crisis—the possibility of nonstate actors acquiring chemical weapons—also received a Tier I ranking. President Obama’s warning that the use of such weapons would cross a “red line” demonstrates how the United States could be drawn into the protracted and deepening conflict. Not all Tier I contingencies from last year’s PPS remained, however. A severe North Korean crisis, for instance, dropped to Tier II (i.e., mid-level preventive priorities). With the country’s leadership transition behind us, Kim Jong-un has less of a need to prove himself to the country’s defense establishment through provocative acts against South Korea. In addition, some contingencies also moved up into Tier II. Persistent terrorist activity by Boko Haram and heavy-handed responses from Nigerian security forces heightened the possibility that Nigeria could face increased political instability. The lowest-priority contingencies fall in the Tier III category. They vary from an outbreak of conflict between Armenia and Azerbaijan over Nagorno-Karabakh, to renewed electoral violence in Kenya. We understand that policymakers might feel comfortable ignoring altogether “low priority” contingencies. However, the potential consequences of a Tier III contingency—such as renewed armed conflict between Sudan and South Sudan—shows why they should not. As the PPS 2013 shows, there is no shortage of potential crises that the Obama administration should consider.